If you are planning a trip to Andalucia it's most likely you're about to make your first place to visit Granada. With the incredible world heritage site of the Alhambra Palaces and Generalife a must see on anyone's bucket list, this is a no-brainer. What's not so easy though is where to find accommodation that is not dark, small and impossible to get to. 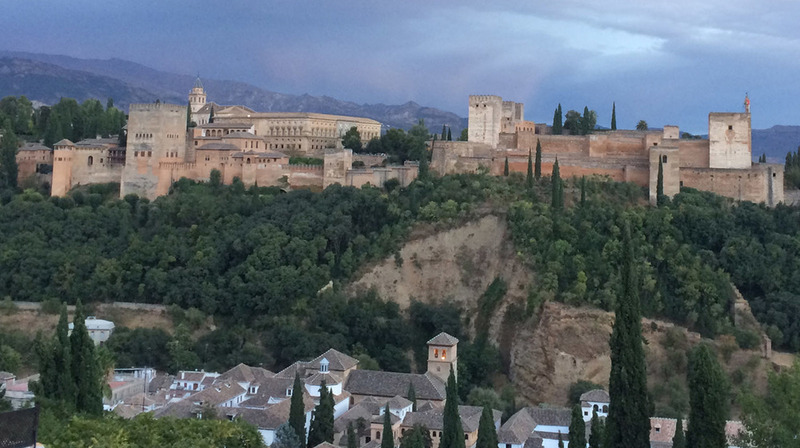 The upside: This is a wonderful choice for location as there are many bars and restaurants, the mirador San Nicolas is located here, and the view of the Alhambra at sunset is incredible ( as shown )The Albaycin's charming narrow streets and architecture give you a real sense of history. It is quiet and there is no traffic to contend with as this is the historic old quarter and limited traffic zone of Granada. The downside: If you stay in this area, it's very difficult to drive in and out of. There are restricted times to get in and out and it's not easy to navigate. GPS does not work here. However, the best advice I can give is if you decide to stay here, park your car somewhere in the main town and get a taxi to your accommodation. It's far less stressful and relatively easy to find. There is a carpark by NH Victoria hotel and from there you can call a cab to take you to your destination. The upside: This area is up towards the hills behind the Albaycin. The old Gypsey barrio, but don't let that put you off. It's a lively area, with a Bohemian feel. In the evenings you will hear Flamenco guitar and dancing nearby but it finishes around 12 pm. This area has recently become quite popular and it's possible to stay in some really amazing cave houses that have been renovated to a very high standard. The walk at dusk from Sacromente through the Albaycin is lovely. It is also possible to cross over the bridge and walk to the Alhambra from here. The downside: The same driving conditions apply here so again a taxi might be the way to go. The upside: The easiest part of town by far to stay in. Central to the Cathedral and main shopping area. There are buses that will take you directly up to the Albaycin and from there you can walk or catch a bus back down to the city centre. There are also buses that take you to the Alhambra from plaza Nuevo however if you choose to walk, the walk from Plaza Nuevo up through the Cuesta de Gomérez, through the gates of Puerta de las Granadas is stunningly beautiful and well worth it. 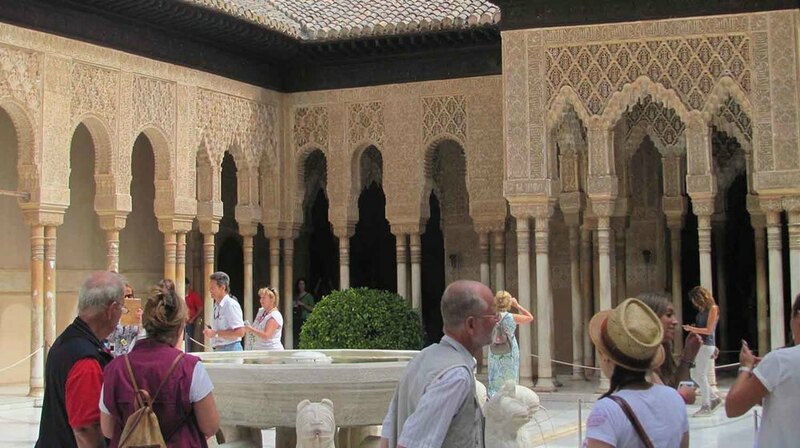 Learn more about our next tour visiting Granada in Andalucía today. Don't miss out as there are only three places left. Older PostBridges to blow your mind!